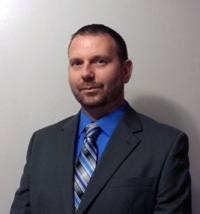 Beacon Falls, CT – September 26, 2016 – Sean Crimmins, a career laundry professional with management experience at several facilities on the east coast, is the new Regional Sales Manager Northeast for Lavatec Laundry Technology. Sean began in the laundry industry in 1997 and most recently was general manager of CleanTex Laundry Services in Irvington, New Jersey. He previously served as a plant manager for Alsco in Alexandria, Virginia, after stints in Pennsylvania with Penn Linen Laundry, Sodexo, and HCSC Enterprises where he managed various healthcare and senior care laundry operations. Having enjoying success in many roles, Sean believes his experience has prepared him well for the next challenge with Lavatec. "I have a strong operations management background and oversaw 140 employees in my position at CleanTex. I also helped improve employee productivity and we had record sales during my time there," said Crimmins. "I have worked in every capacity since I started in the industry as an hourly worker. I accepted this position because I have a good idea of what plants need to get the job done today. Lavatec equipment is reliable, it helps make workers more efficient and it produces the kind of results facility owners will appreciate." Sean will work from his home base in Virginia. Contact him via phone at (484) 226-8681 or email – s.crimmins@lavatec-laundry.us.